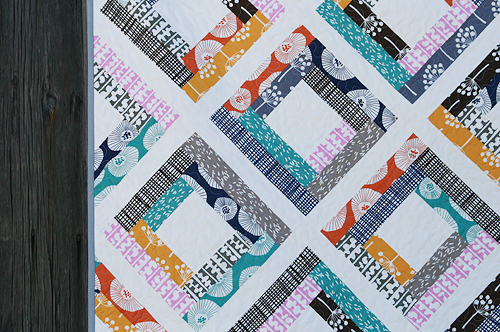 Really quick...if you didn't catch my post over the weekend, this afternoon I am going to be on Pat Sloan's American Patchwork and Quilting radio show! Read Saturday's post to see the details - I hope you all will tune in! So, yeaaaa! I finally finished my Echo quilt! 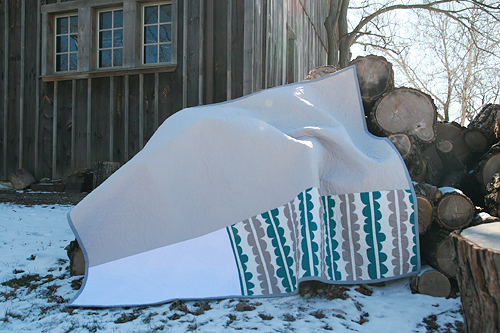 I loved Lotta Jansdotter's Echo fabric from the moment I saw it. It matches my family room perfectly and I knew I wanted to make something with most of the line. I decided on log cabin blocks, set on point. 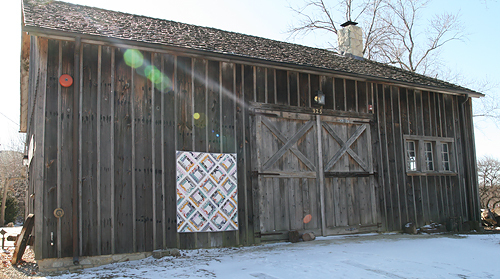 I took the quilt to my favorite local barn for pictures, isn't it pretty? 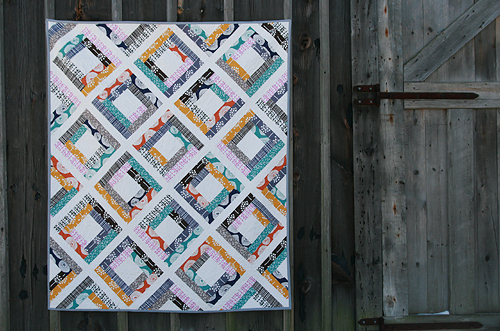 I quilted this in a meandering free motion style and it measures 58" x 68". For the back, I used some blocks of white, Kona Ash, and one of the larger scale Echo prints. 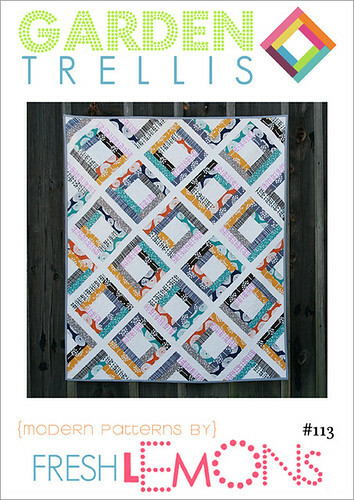 And now for the reason this quilt took me longer to post...I developed a new pattern for it!